A verb has a subject (the person or thing doing the verb), and may have an object (the thing being done to). Grammar made easy: subjects, verbs and objects explained. Bonjour Stephen, Perhaps there is a typo in your French phrase. . . . «regarde (object)». Regarde is actually the verb and «un film» is the object. From your email, it appears that you are an English speaker, possibly from the US educational system. If you recall from high school English, a sentence is a subject and a predicate. Everything except the subject is contained in the predicate including the verb. This, by the way, is an educational standard debate currently in France in lieu of the COD and COI. 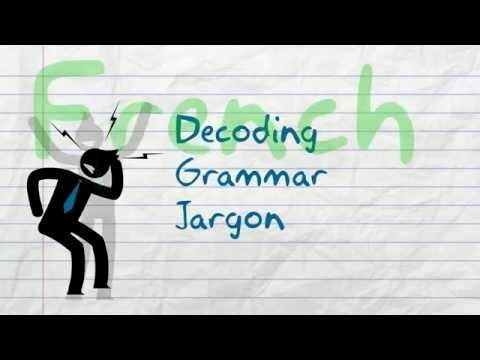 So, here is another lesson concerning replacing the subject with a pronoun: https://kwiziq.learnfrenchwithalexa.com/my-languages/french/glossary/1 In the lesson referenced in your question, it does not cite subject (name, noun) replacement by a pronoun; however, it can be. See the lesson mentioned above. The best way to explain this is with an example: I have the car. ---> J'ai la voiture. the object is «the car» or (la voiture) if we replace «une voiture) with a pronoun, in the case the feminine pronjoun «la» since voiture is a feminine noun. Then we have Je la ai. when then becomes Je l'ai. Here are a couple of links that you might find useful: https://www.laits.utexas.edu/tex/gr/pro1.html https://www.laits.utexas.edu/tex/gr/pro2.html I hope that you find this helpful. Bonne chance.